Onesti was hit hard with the loss of his friend, the man affectionately known as the Manchester Cowboy. Jones died of a heart attack at his home in Florida on Feb. 29. A new generation was exposed to The Monkees when MTV and Nickelodeon began airing the series. Suddenly, they were stars again with album sales that reached platinum status and national tours. Onesti will host A Tribute to Davy Jones at his Arcada Theatre in St. Charles March 30, before the Bill Medley and the Righteous Brothers concert. The tribute show will include the band The Pondhawks performing Monkees songs, and some common and rare video footage from the “The Monkees” TV show, as well as footage of Jones performing. The tribute will last about 40 minutes, and then the audience will be invited to sign a condolence card for his late wife, Jessica. Onesti has a lot of Davy Jones stories that he will share, including the time Jones arrived early for a show and the hotel didn’t have a room for him. The hotel was sold out. 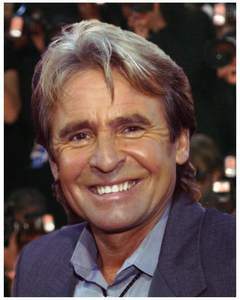 Another time, Davy Jones stayed after a show for more than four hours signing autographs and posing for pictures and never stopped smiling. Onesti was dropping his daughter off at school when he heard about Jones’ passing. “I broke down a little bit,” he said. “I didn’t want to tell her. She knew him; he loved her. She knew his music. It hit me hard.